Sadio Mane arrived at Anfield with an impressive record in the Premier League forged across two seasons at Southampton. But the Senegal-born wideman's journey to Anfield initially began in France, where he made a professional debut for Metz just a matter of months after leaving his homeland to chase his football dream. At that time, Les Grenats were a Ligue 2 team battling relegation, and even the promotion of the talented Mane couldn't help hold off the drop. As such, he was quickly picked up by Austrian outfit Red Bull Salzburg for the 2012-13 season, and given the opportunity to really show what he could do. Nineteen goals in just 29 appearances in all competitions followed, as the winger took the Austrian Bundesliga by storm - and he was not finished there. The next season saw Mane bag 23 goals across 50 games as Salzburg clinched the league by a whopping 18 points and also added the Austrian Cup. By this point, a move to one of Europe's more prestigious leagues seemed inevitable, and it was Southampton who swooped to bring the pacy attacker to England. It did not take long for the Senegalese to make an impact, as he earned a crucial penalty for Saints 20 minutes into his debut as Arsenal were beaten 2-1 in the League Cup. Just days later, he followed that up by laying on a goal for Ryan Bertrand in another 2-1 win for Ronald Koeman's team against QPR in the Premier League. Such telling contributions proved hard to come by after that initial flurry, but a run of goals in successive games against Crystal Palace, Chelsea and Arsenal at the turn of the year proved Mane had truly gotten to grips with football in his new home. And, as if to prove that point, he produced a remarkable performance in the penultimate game of the season as he netted the fastest Premier League hat-trick of all-time. It took just two minutes and 56 seconds for Mane to bag his treble against Aston Villa, as he smashed the record previously held by Reds legend Robbie Fowler. The winger ended the season with 10 goals in 30 league outings, a tally any seasoned performer would be delighted to notch from wide. And his progress showed no signs of stopping last term, either. 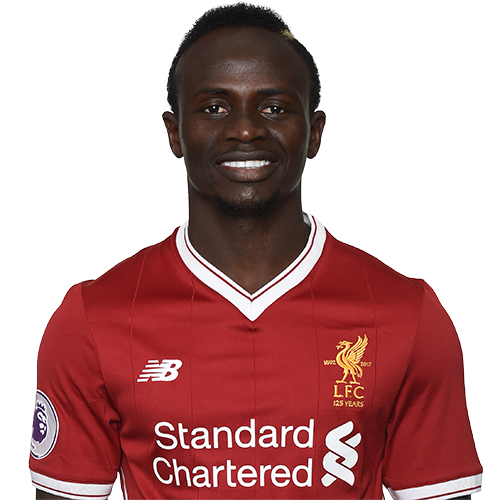 Mane bagged 15 goals and nine assists over 43 appearances, including four strikes against Liverpool in his three outings against them in league and cup. During his time at St Mary's, the 24-year-old also added to an impressive record at international level. He boasts 10 goals from 36 caps for Senegal since making his senior national team debut back in 2012. And he will now hope to maintain a career trajectory that appears to have him set for stardom under the guidance of Jürgen Klopp.